Ever tried a Turkish borek? Swedish kroppkakor? How about Cajun meat pie? 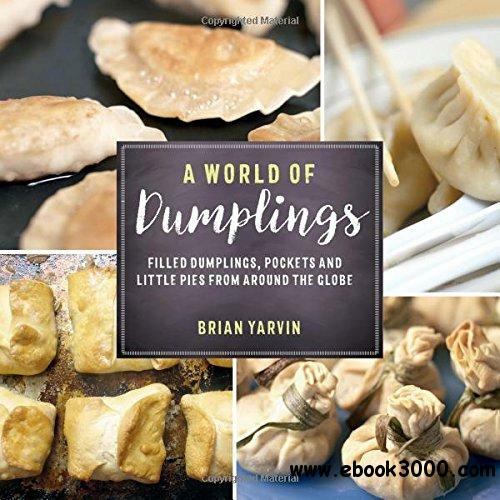 Acclaimed photographer Brian Yarvin has traveled to neighborhood kiosks, festivals, and restaurants in ethnic neighborhoods throughout the northeastern United States to bring more than 100 traditional dumpling and filled-pie recipes from places as near as Flushing, Queens, to as far away as Uzbekistan and beyond. Starting with the basics of dough making, steaming, and frying, Yarvin provides mouthwatering color photographs and step-by-step instructions so that anyone can recreate their grandmother's pierogi or street-food favorite at home, using ingredients from the local supermarket. Also included are tips for where to buy hard-to-find ingredients, and-if you just can't stand the wait of making your own-ethnic neighborhoods where you can find ready-to-eat dumplings.